Nothing is more iconic for the Fall Season than a Raleigh Hay Ride - these fun filled rides through farmland often stir up nostalgia, and memories of Halloweens past. Many local farms and 2019 Raleigh Halloween attractions offer family-friendly hay rides, as well as haunted hay rides in the evening, for the braver thrill seekers. This beloved past time has been enjoyed for generations during the Harvest Season, and it is still a tradition that friends and family can enjoy each Autumn. Fishstrong Fright Nights Featuring The Dead End Trail Hubert 225 days ago Rate Now! Granville Haunt Farm Oxford 219 days ago Rate Now! Grissettown Haunted Trail Ocean Isle Beach 220 days ago Rate Now! 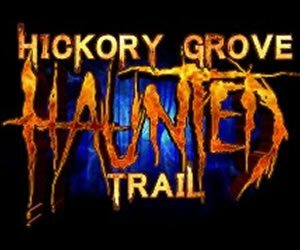 Hickory Grove Haunted Trail Gastonia 216 days ago Rate Now! Hollerin Haunts Hayride Clinton 232 days ago Rate Now! Spooky Woods Archdale 192 days ago Rate Now! Stoney Point Trail of Terror Fayetteville 36 days ago Rate Now! Strickland Farm Trail of Terror Macclesfield 185 days ago Rate Now! The Horror Fields Sawmills 93 days ago Rate Now! Woods of Terror on Church Street Greensboro 3 days ago Rate Now! Xtreme Haunt Durham 181 days ago Rate Now! 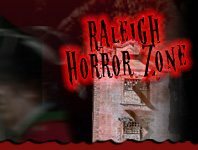 Founded in 2011, RaleighHauntedHouses.com is a simple and unique online haunted event & attraction resource created to make it easy for locals to find Haunted House, Spook Walk, Corn Maze, and other Halloween Attractions in their local area.